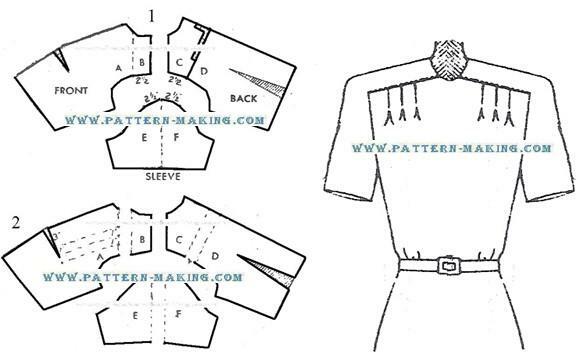 Trace the dress foundation of the front, back and sleeve; then draw the yoke seam lines on front and back, and mark sections A to D.
2)Draw a line . . .